Capuchin Monkeys live in Central andSouth Americain the warmer climate. They have a long and slender body shape with tan coloring. They feature dark brown and black on their limbs and on top of their head. They can be about 22 inches long and their tail can also be the same length as their overall body. They may weigh up to 9 pounds. They sleep in the trees at night in areas that offered them some hiding from predators. They tend to live in social groups that feature up to 20 members. 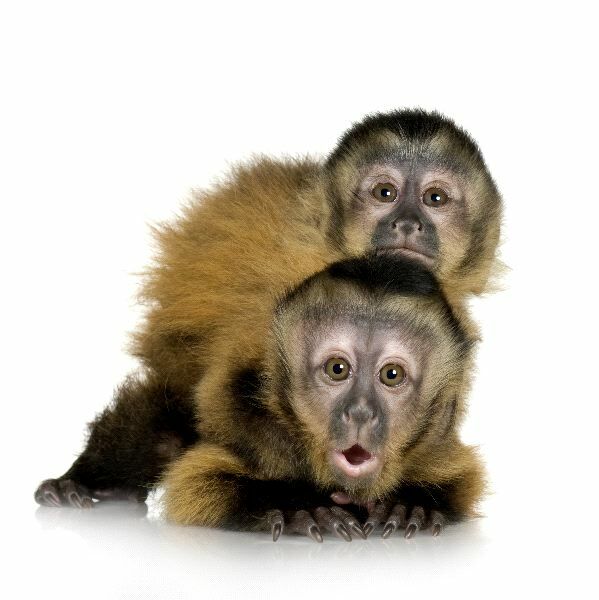 Capuchin Monkeys are polygamous, with males and females having multiple partners.